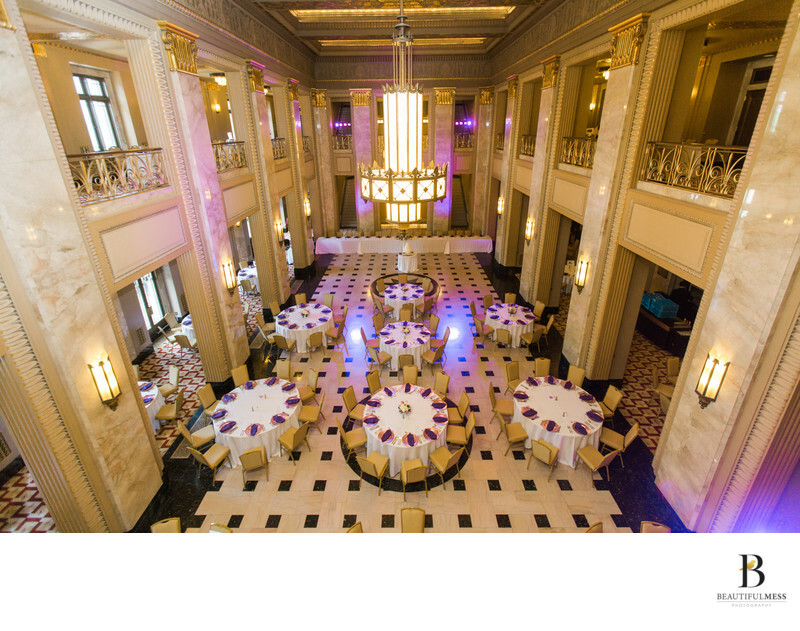 Elegant wedding image of the Grand Lobby of Peabody Opera House. Set in finery of purples and gold accents, this reception venue makes it one of our favorites to host the entire wedding day. From the getting ready, to bride and groom images, not to mention cocktail hour and all night dancing! Location: 1400 Market St, St. Louis, MO 63103.